Metalmann is an international trading company which deals in non-ferrous scrap trading. They buy and sell scrap metals from different countries and continents. The central idea of the trade is bidding. Buyers who are looking for scrap metal, bid for the available product. If they win the bid, the material gets shipped to their yard once they finish the stringent process of shipping and sales documentation. 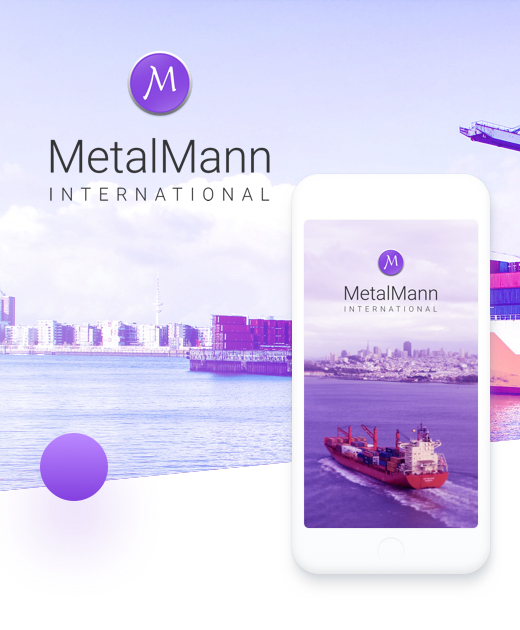 MetalMann wanted a simple, powerful and reliable technology solution that would help them manage and replicate the offline metal trading business on an online platform by implementing pre-determined rules and automation. GoodWorkLabs helped them achieve this through their enterprise level e-commerce software product – GoodWorks MarketPlace. The GoodWorks MarketPlace product hosts a premium UX design and is built on the latest technologies which allow any company to build their own e-commerce store within no time. GoodWorkLabs worked very closely with MetalMann to replicate their manual brick and motor business into an online business with a solid MarketPlace solution to increase their business efficiency. The basis of MetalMann’s metal trading business involves a detailed bidding process where sellers would post the price of a product and buyers would accept the most competitive bid and place their orders. All of these transactions used to take place offline and were managed through a number of spreadsheets! Now, GoodWorkLabs was faced with the challenge of automating this entire process and making it simple, but at the same time, we had to keep intact the authenticity of the process. GoodWorkLabs decided to approach and solve this problem in a structured way so that every aspect of the business was captured seamlessly. GoodWorkLabs assigned a dedicated team of designers and developers who sketched out all the intricate details and user processes that had to be followed to ensure an easy and flexible online sales process. MetalMann deals with almost 25 categories of metals and each one has various sub-categories which amounted to almost 250 product lists in total. The online marketplace app had to incorporate UX designs and product mapping for all these 250 products. Within a matter of just few clicks, a user must be able to select the product and make the purchase. Clear product lists with images of the product along with descriptions were created to help users absorb all the information in one shot. Previously, the entire process of authenticating buyers and sellers to enter the MetalMann trading platform was done manually. In this transition of moving the business online, GoodWorkLabs had to ensure that enough reference checks and processes were kept in place to ensure that only authorized users can enter the MetalMann trading platform. To tackle this problem, our UX team chose to come up with a longer on-boarding and verification process as this would help to filter out the non-authentic users. The entire business of MetalMann depends on the bidding process. Our developers dived deep into understanding the maths and science behind the bidding process to ensure that sellers put up the correct bid, price points and buyers also see the correct prices. The bids can be edited at any point in time by the seller who has posted it. However, the final approval of the bid and sales process is vested with the MetalMann Admin desk, thus giving them control over the entire process. 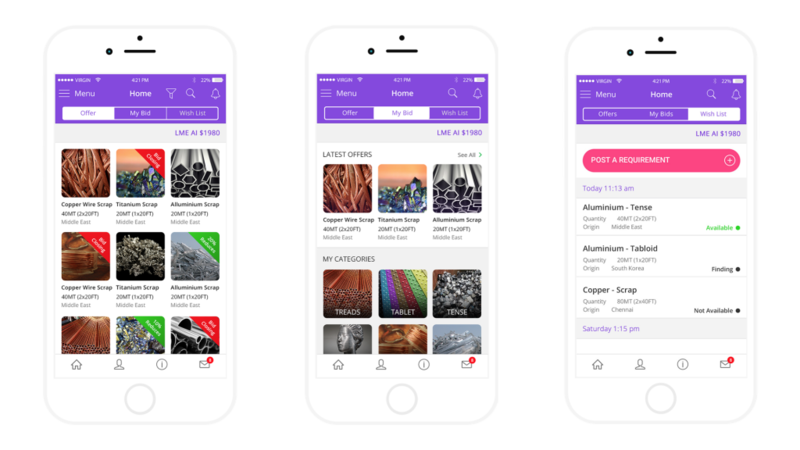 GoodWorkLabs designed and developed a complete end-to-end mobile app and e-commerce platform for MetalMann, thus allowing people from different continents across the world to buy and sell metal online with ease. 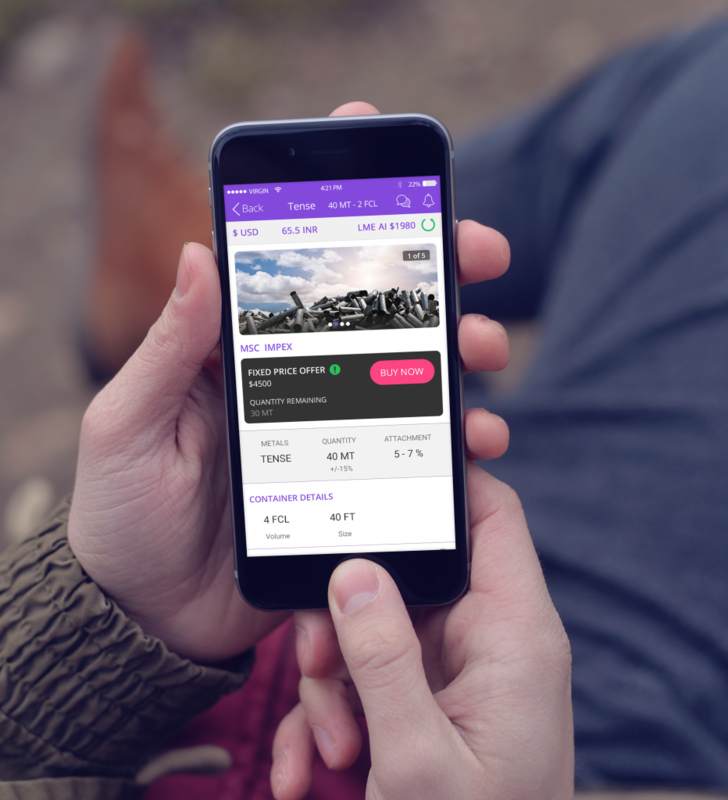 Our designers focused on creating a mobile interface that is simple and user-friendly for a hassle-free buying/selling process. They dived in deep to take care of minute details such as color tones, typography, product listings, on-boarding process etc in order to create a lasting UX experience for the client. Detailed dashboards for both buyers and sellers were also designed so that information was seamless and easy to locate at any time from any place. The developers built an application that was flawless and bug-free. It was rigorously tested and the final product was a highly functional and powerful application, thus proving why MetalMann had chosen us in the first place. There were three different sets of users (Buyer, Seller, and Admin) as requested by the client, and the entire process was automated. 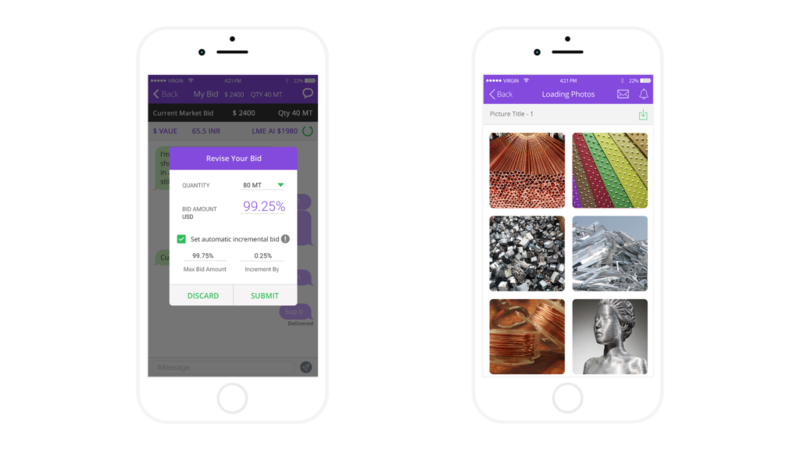 Through the MetalMann app, now buying, selling and monitoring of the trade was easily achievable. We delivered the product on time and gave a product that surpassed the client’s initial expectations. Our premier e-commerce enterprise software product GoodWorks MarketPlace is a ready-to-use and customized product, designed to help any business go online or go mobile. The entire MetalMann technology is being supported by our MarketPlace software. Right from the UX/UI designs, to the back-end development and testing, GoodWorks MarketPlace is an end-to-end solution for any business who wants to grow their business online. Read more about our e-commerce software GoodWorks MarketPlace. If you are looking for a premium and cost-effective solution for your online business, then reach out to us and we can help you build a custom e-commerce platform to support and grow your business.